Our passionate and multi-talented team take great pride in providing quality creative concepts and bringing them to life. Launched in 2012 and with a combined total of over 30 years worth of experience between the team, let our professionalism and ‘can do’ attitude put you at rest when looking for decorative solutions for your wedding or event. Poppy Culture has proudly had their florals featured on the cover of TOAST Magazine as well as published in Cosmopolitan Bride, Magnolia Rouge, Bride To Be magazine, Wedding Playbook, Modern Wedding Magazine, Hooray, Melbourne Wedding and Bride, Hello May as well as blogged by Ivory Tribe, TOAST weddings, Polka Dot bride, Style Me Pretty, Weddings HQ, Hello May and White magazine. Lauren’s education background originated in fashion and design where a true passion and flair for florals, styling and merchandising was realised. 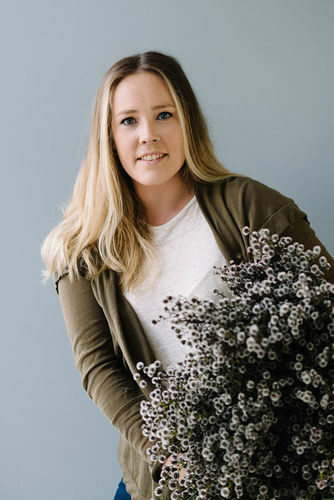 When an opportunity came about to work in one of Melbournes’ largest and leading floristry retailers Laurens career in the industry took hold. Beyond this with the desire to expand into more styling opportunities and event based work Poppy Culture was born. 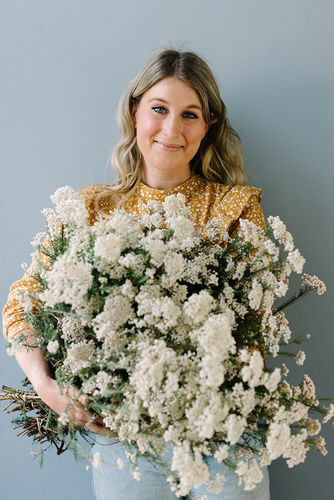 Lauren's experience as a trained florist spans beyond 12 years and her eye and attention to detail see’s her responsible for creating and curating many of our well known bridal bouquet designs among many carefully and lovingly created arrangements. Having joined the team in Early 2015, Laurens experience sees her across much of our quality control and ensures design briefs are adhered to with precision. Steph oversees the great and important task of our flower ordering and buying logistics to meet the design specifications and volume to create our stunning events. 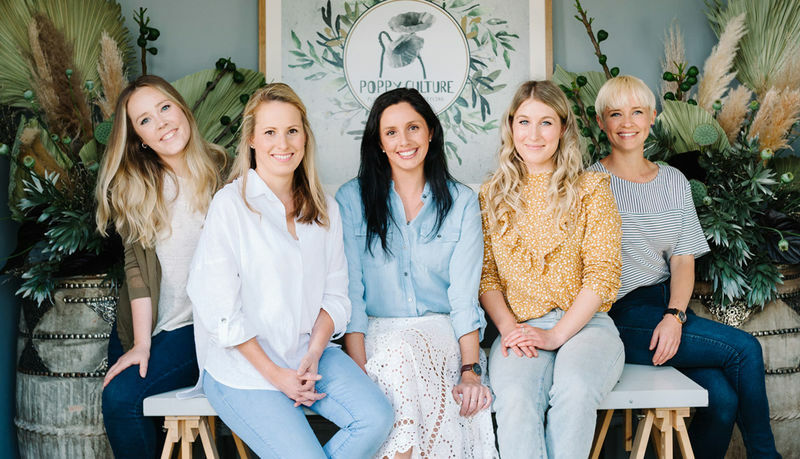 With a key focus on providing top quality and creative arrangements, Steph assists to source unique varieties and combinations to give each event a personalised and unique Poppy Culture touch. 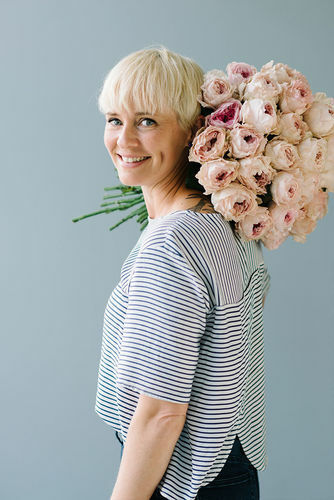 On top of this, Steph is a skilled and passionate florist with a flair for the finer things and creates many of our delicate and intricate wired pieces such as button holes, corsages and our famous flower crowns. Anika came to us in 2015 as a work experience student and ever since has been working among the many areas it takes to bring together the logistics, organisation and dedication to the task. A trusted and capable member of our team that loves the world of events and all that comes with it including a commitment to long hours, late nights, early starts and hard work that has cemented her as part of our dedicated creative team. 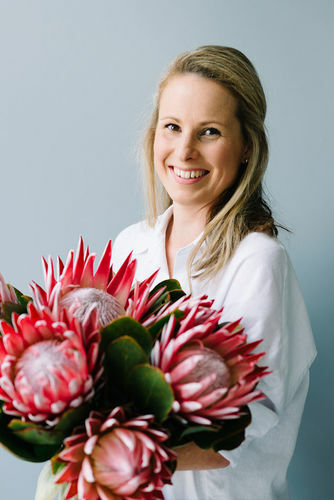 From city to sea... Belinda has a wealth of industry experience both in managing a busy city based retail florist, as well as getting involved in large scale creative events. 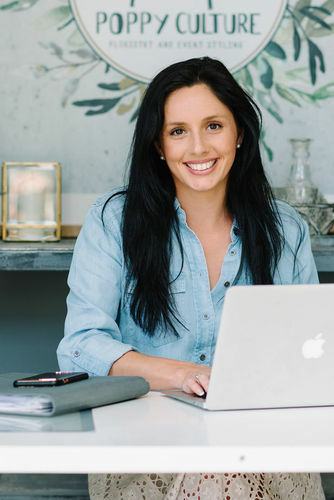 Having worked as a freelancer with the team in the past, and since making a sea change to the beautiful Mornington Peninsula, we welcome Belinda aboard as part of our team from 2018. Her passion, professionalism and creativity comes with her everywhere she goes and we look forward to sharing those qualities and talents with our clients and colleagues ahead.